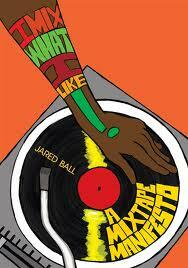 Jared Ball joins us to discuss his new book, I Mix What I Like: A Mixtape Manifesto, an exploration of hip hop from a radical political perspective. Jared Ball joins us to discuss his new book, I Mix What I Like: A Mixtape Manifesto, an exploration of hip hop from a radical political perspective. Jared is the founder and producer of FreeMix Radio and an Associate Professor of Communication Studies at Morgan State University.